The Custom Shape Tool allows you to draw custom shapes. These are actually vector graphics, which is uncommon in Photoshop. The Custom Shape Tool can be activated with the U shortcut and by scrolling through the shape tool options using Shift+U until the custom shape tool appears. Load all custom shapes in the options (in CS6 click on the cog or in earlier versions click on the arrow). Use any of the shapes that you like. 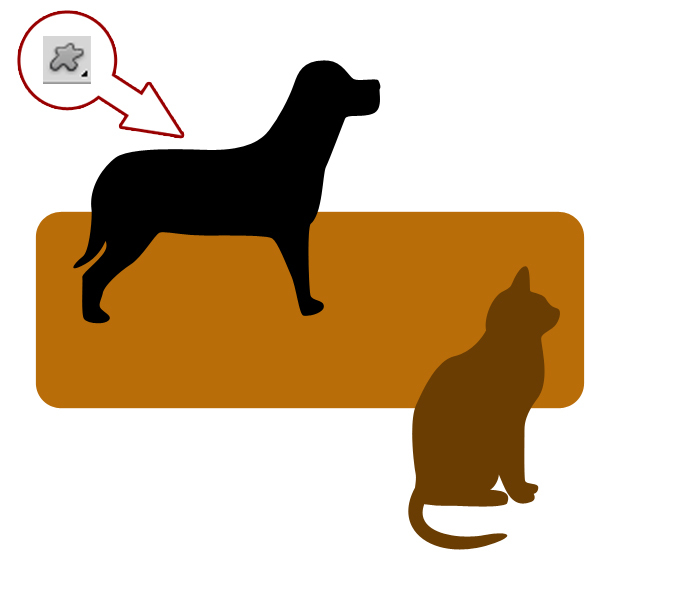 I opted for the dog and the cat with a rounded rectangle in the background. Draw shapes by dragging the cursor. Hold shift to keep the proportion. Double click around the name of the layer. Activate the Layer Blending Options by double clicking next to the name of a layer (in the Layer Palette) in the high-lighted area (not the thumbnail). In class I will give an introduction to the various options. I want you to focus on the Stroke option. Click on the word (not just the tickbox) and change the colour of the outline. 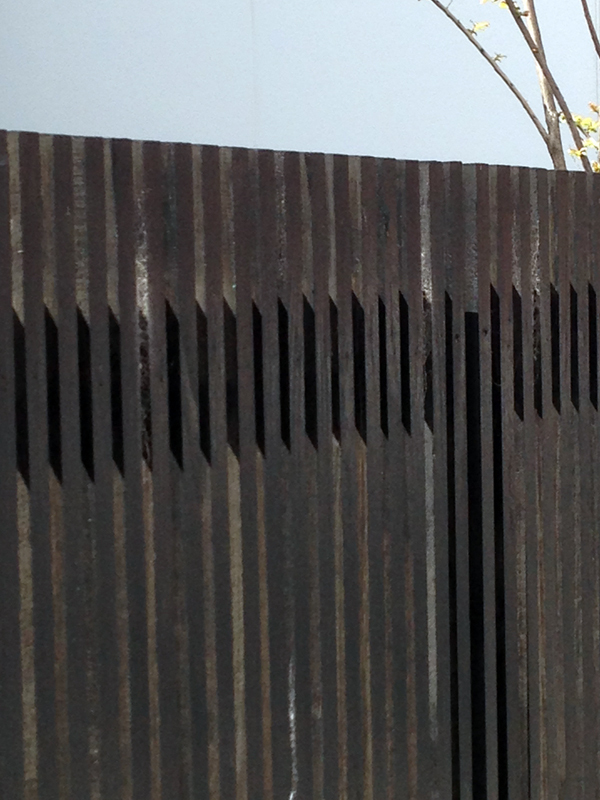 Vary your line thickness on the different shapes. Next click on the words Blending Options: Custom and reduce the Fill Opacity to 0% and vary the Fill Opacity with the different shapes. Create an image with shapes that have outlines and no or low Fill Opacity. Web Preset, 800px(width) x 600px (height) 72ppi (resolution). Save your work for on-screen viewing, as JPEG or PNG. 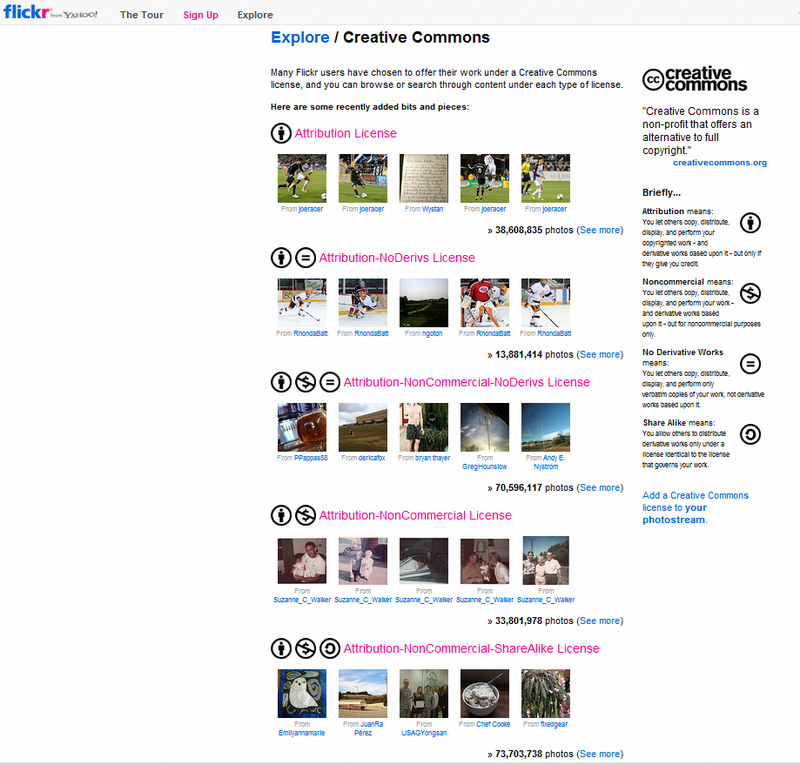 Creative Commons or the Creative Commons License relates to a way to distribute content, such as photos and other images for free. Last week’s sample photo of the Ameland geese by F Schouwenburg is under the Creative Commons License. 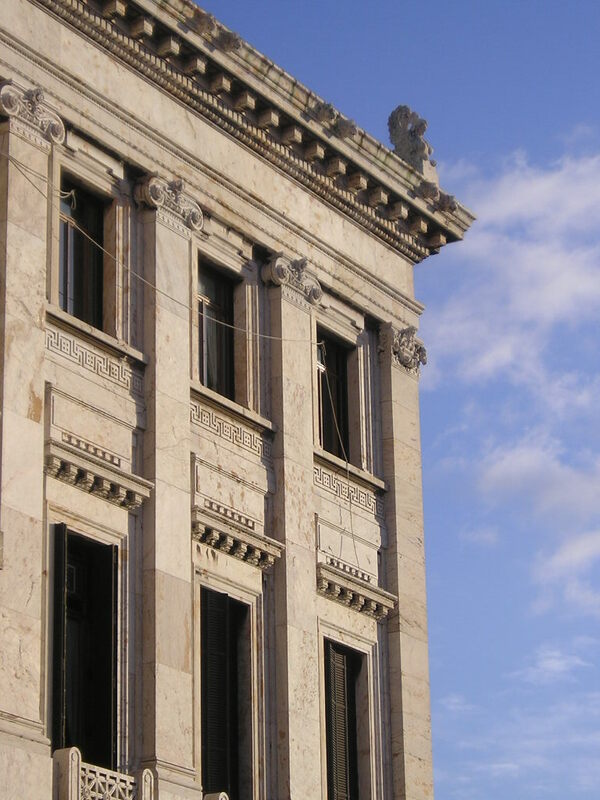 Your task: find a photo to suit the themes Urban environment and blue skies with each search and download the image. 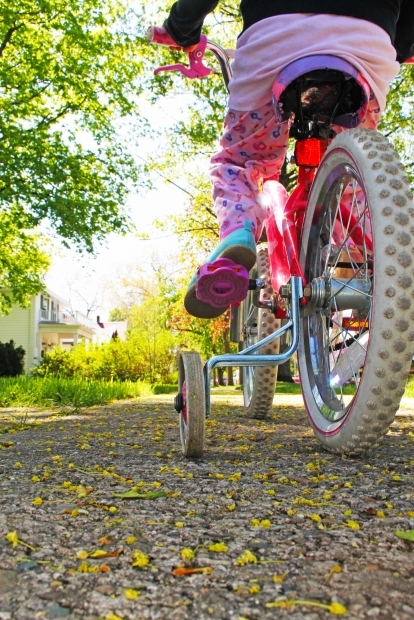 Include the meta data of the photographer and source of website with the photo. 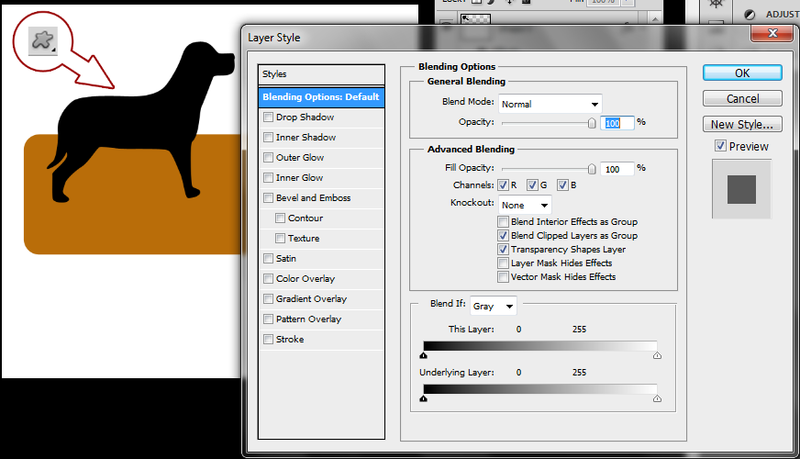 The Layer Blending Mode can be accessed through the Layers panel. A text box (Win) with the word Normal or a small button (Mac) indicate the Layer Blending Mode box. 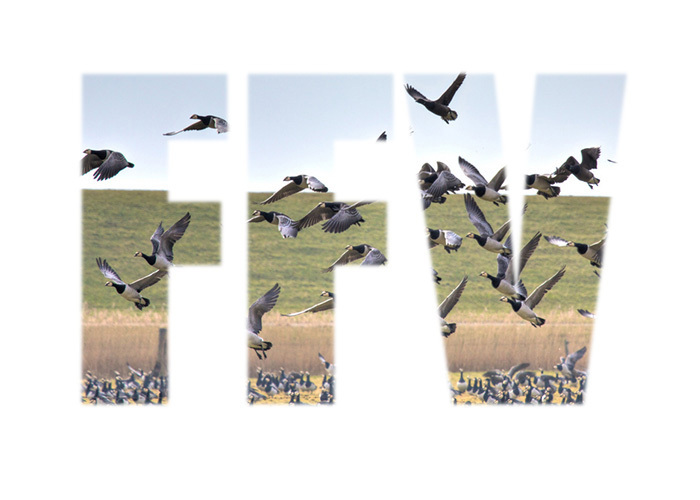 Activate the gradient and drag from one part to another within the imageIf white is your foreground colour the image will become invisible in the direction of your dragging. If black was your foreground colour the image will be invisible on your first point and become visible in your dragging direction. Create a banner for a website using two images that blend into each other (use Layer Blending Modes and Layer masks) with a title, either use your name or an imaginary title. Welcome to your third Photoshop class. Be honest: did you practice what you have learnt last week? Make sure to practice Photoshop as much as you can, preferably daily. If you create a habit and make it fun your learning curve will be steep. If you are to busy to practice every day, try more than once a week. You can see that we will be rather busy. You will also need to provide me with an image as a result. 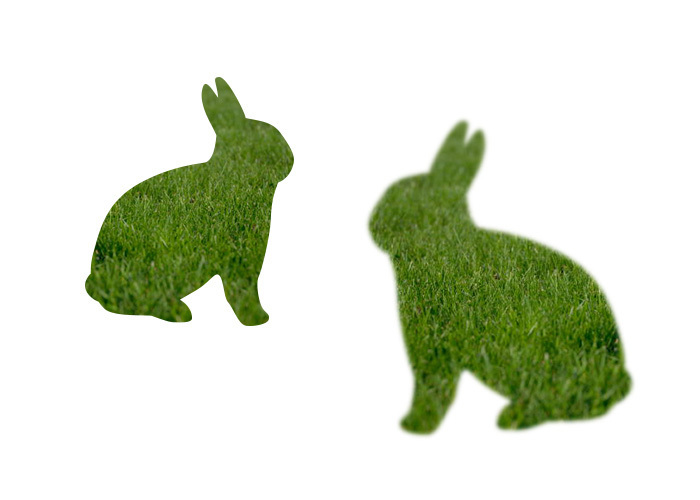 Create a Gaussian blur (7.4px) of the clipping mask and flatten the image. Save as a JPEG with this title: Class3_T1_Your_full_name.jpg (example: Class3_T1_Toni_Varsetti.jpg). Upload the file to MyKangan and keep a copy of the JPEG. 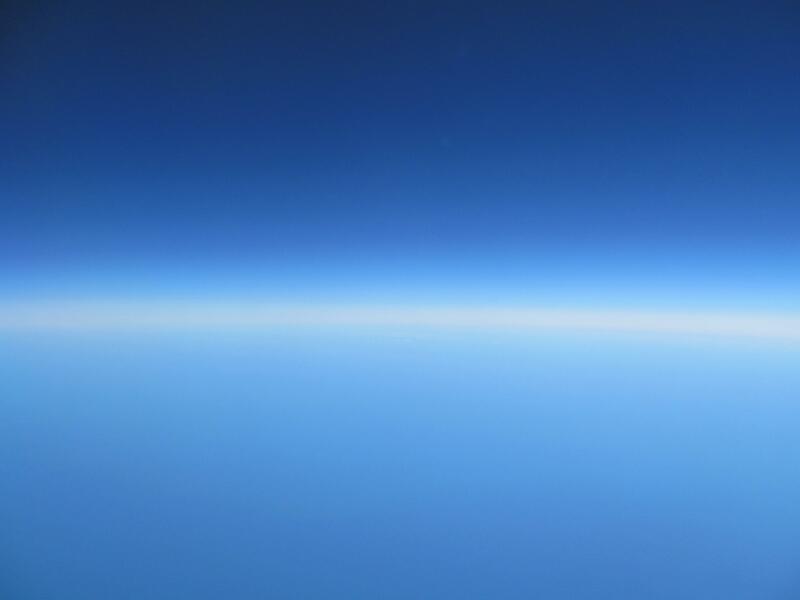 Task 2 – Use the same document from task 1 or start a new document – 700x500px at 150ppi (pixels/inch) resolution and background contents set to transparent. Type the initials of your name in Impact Regular 200pt. 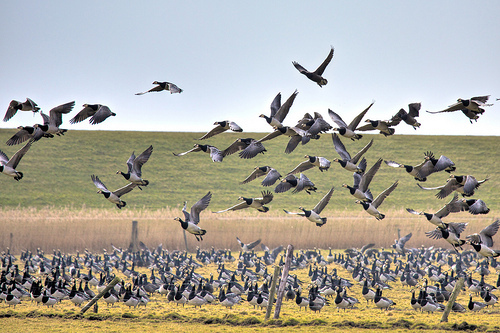 If you have not done so in task 1, download the image of the geese in Ameland (see Task 1 for link). Place the file in your document (File>Place). When excepting the size make sure that the image is larger than the initials. Finally create a clipping mask (the photos should only appear inside the text now). Save the file as a PNG with this title: Class3_T2_Your_full_name.png (example: Class3_T2_Toni_Varsetti.png). Upload the file to MyKangan and keep a copy of the PNG. The ability to create layers is a central aspect of Photoshop. It works like a collage, you place one photo on top of another and the one on top covers up the photos below it. 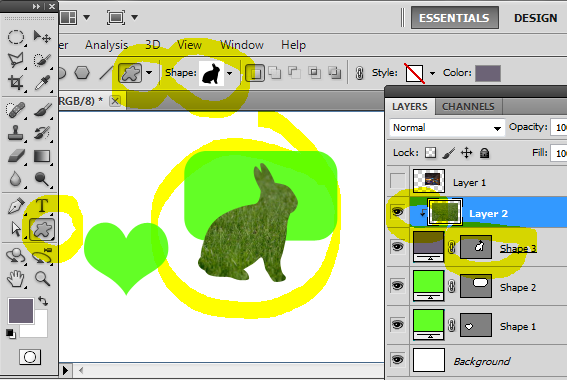 The Layer palette is located in the bottom right-hand corner with a tab called LAYERS. There are two menu items you should be aware of in the drop down main menu: Layers and Window. Click on Layers to see a lot of actions that you can perform with layers. (See image) You can perform these functions directly from the layers palette as well, by clicking on the Layer Options Tab (small icon in the top right of the layers palette). Please read all the options of the image of the Layers panel (above) before advancing. You use the short cut: Ctrl+Shift+Alt+N (Mac: command+shift+option+N) – Nice! This will immediately create a new layer on top of your active layer. You can use this short cut: Ctrl+Shift+N. This will open a options panel before the layer is created. Drag the layer in the layer panel into the new position. You can move it up (=on top of other layers in the workspace) or down (it will be partly hidden by layers above. This is an easy and intuitive way. You will need to sometimes move it right between two layers and wait for a dark line to appear before releasing the layer. You can also use the shortcuts: Ctrl+[ (or Cmd+[ on Mac) to move the layer up and Ctrl+] (or Cmd+] on Mac) to move the layer down. A layer needs to be active for you to be able to work with the artwork on the layer. Photoshop allows you to work on one layer at the time. 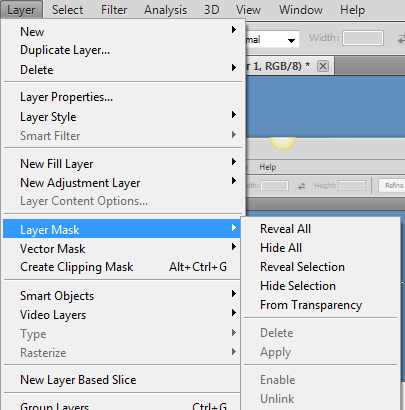 If you want to select numerous layers hold the Ctrl button (Mac: Cmd) while selecting more layers. 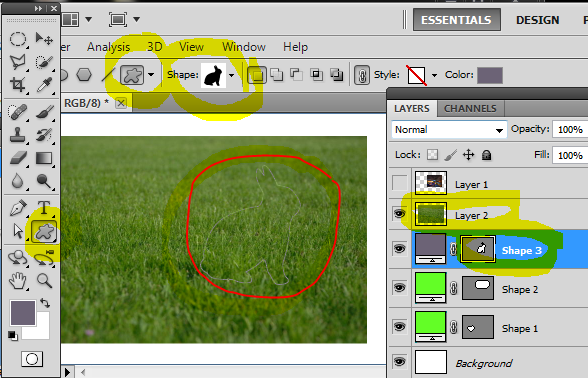 You can make the content of a layer invisible by clicking on the eye icon in the Layers panel. Clicking it again will make the content visible. Linking layers can be done by selecting numerous layers (with Ctrl) and then clicking on the chain symbol in the Layers panel. Group layers by selecting numerous layers and then either pressing Ctrl+G (Mac Cmd+G) or create a new group by clicking the Create a new group icon in the Layers panel (it looks like a folder) and drag any layer you want into it. The easiest way is to select the layer and hit Backspace; this happens immediately. If you are the old school type you might to simply drag the layer into the bin icon or click the bin icon and press enter to delete the layer. Draw a rounded rectangle with a 25px radius (drag to draw). You will notice that drawing a shape will create a new layer as a default! Try the other drawing tools as well. I chose the rabbit custom shape. To find it choose the custom shape tool, it looks like a blob, see the sample images! Then go into the options menu bar and select the down arrow next to the custom shape (most likely a black arrow). This will open all the different custom shapes. Next click on the small outward arrow head in the top right of the box you have just opened. Select all and Ok. This will open all the custom shapes that Photoshop comes with. The rabbit should be in the selection. Keep only one shape layer and delete all the others. Place an image in the workspace: File>Place. 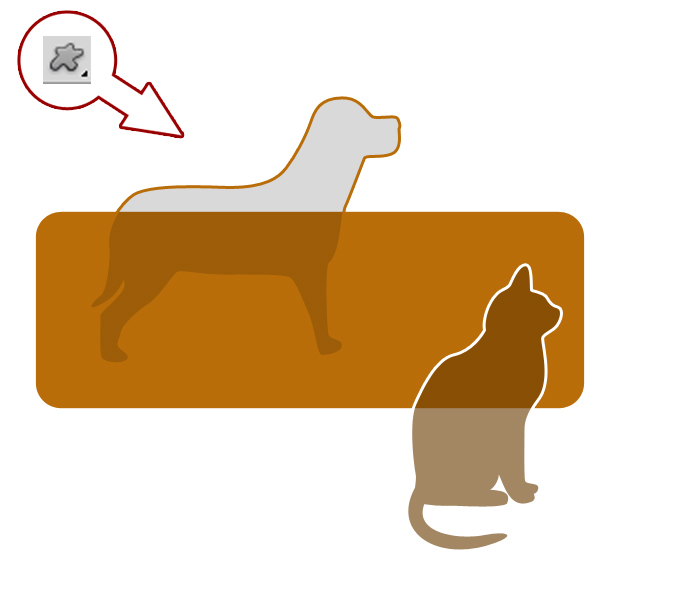 Make sure the image is larger in size than the shape on the layer below. Right-click on your image layer and select Create Clipping Mask. Male sure that you do this to your image layer and that the image layer is on top!!! 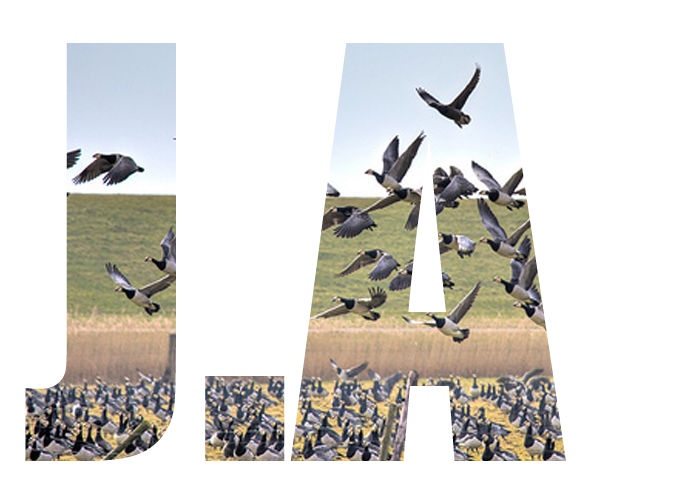 Try to move just the image by selecting the image layer. Try to move just the shape layer. Make sure your shape thumbnail on your shape layer is selected. Go to the menu bar: Filter>Blur>Gaussian Blur and enter 7.4px for the Radius. You should be prompted if you want to rasterize the layer. Click yes. 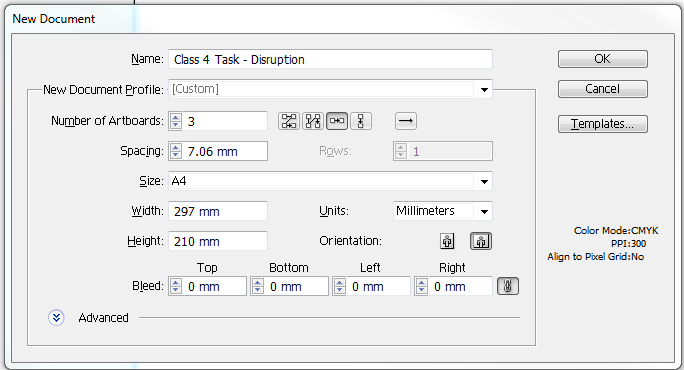 Select two layers (left click + Ctrl) then right click and select Merge Layers. Task 1 – Start a new document – 700x500px at 150ppi (pixels/inch) resolution and background contents set to transparent. 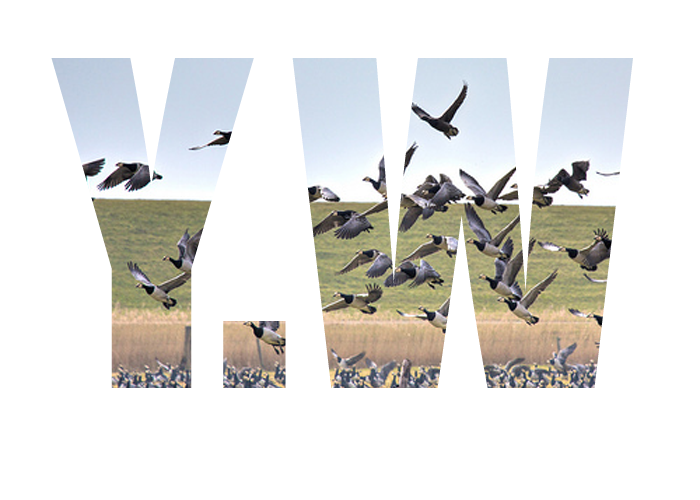 Create a clipping mask with a rounded rectangle (fill most of the document space and with a 40px radius) of a photo of geese in Ameland, inthe Netherlands by Frans Schouwenburg. The photo is available under Creative Commons agreement and can be found on Flickr.com. 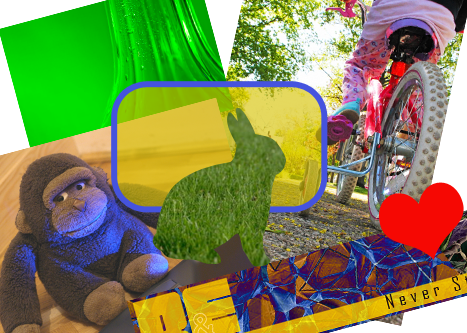 Create a Gaussian blur (7.4px) of the clipping mask and flatten the image. Save as a JPEG with this title: Class3_T1_Your_full_name.jpg (example: Class3_T1_Toni_Varsetti.jpg). Upload the file to MyKangan and keep a copy of the JPEG.